CLAREMONT, Calif.—Music must be in the blood of Jim Hernandez. He is a musician who specializes in Tejano, or Mexican-American folk and popular music from central and southern Texas, and his brother, known as Little Joe, is a Grammy-award winner. 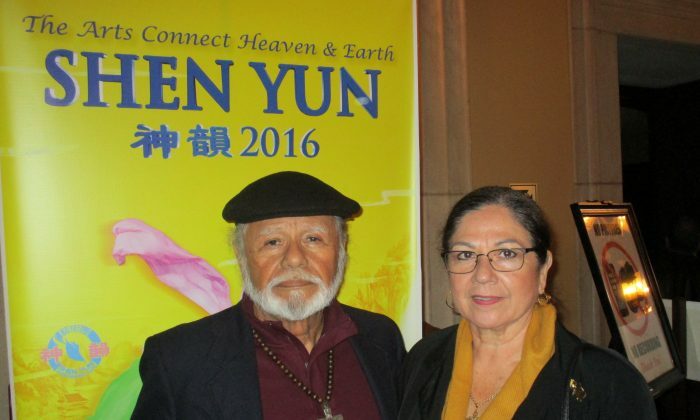 Mr. Hernandez attended Shen Yun Performing Arts with his wife, Lucy Ruiz, at Bridges Auditorium in Pomona College on April 8, 2016. They were both beaming after the performance. What they are doing is using art to change the world. 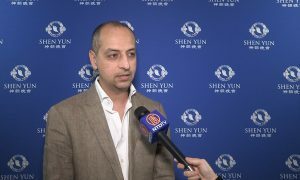 Shen Yun is a New York-based, classical Chinese dance and music company that tours throughout the world each year in its effort to rekindle the resplendence of traditional Chinese culture. Since ancient times, China was known as the Middle Kingdom, or “Celestial Empire,” a land where the divine and mortals were believed to coexist. Chinese people have traditionally believed that their culture—food, attire, music, medicine, and even values—is a gift from the divine. With Buddhism, Taoism, and Confucianism as its foundation, Chinese culture is deeply spiritual; therefore, expressing respect and reverence for the heavens and the divine was common. 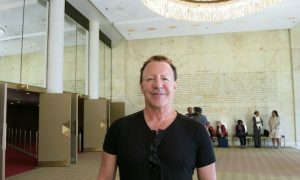 Mr. Herndandez was quite moved by Shen Yun’s display of Chinese culture. “I used to question myself about the meaning of the words divine and spiritual, but now I know that this is divine and spiritual in the sense that it brings people together, it brings the love, natural love of people, together,” he said. “I sincerely congratulate the Chinese, the artists … because this show sincerely releases spirituality and the divine,” he said. “Thank God for this art,” he added. A Shen Yun performance includes approximately 20 vignettes that carry audience members on a journey through 5,000 years of Chinese civilization. Ancient legends, tales of heroism, and modern stories of steadfast faith unfold before people’s eyes and illustrate the virtues that have enabled Chinese civilization to continue longer than any other. Most vignettes include classical Chinese, folk, and ethnic dance, and they are accompanied by a full, live orchestra that combines Eastern and Western instruments. Other pieces include vocal and instrumental soloists. 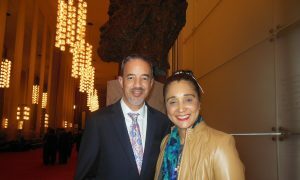 Mr. Hernandez continued to rave about Shen Yun and its performers. 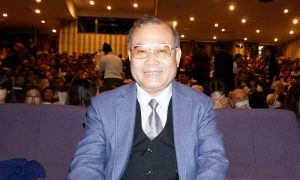 “I think this orchestra should perform all over the world because it teaches us the beauty of humaneness,” he said. 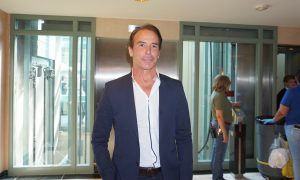 He also enjoyed the deep, philosophical musings contained in the songs. 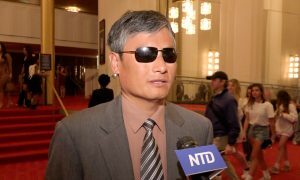 Despite achieving critical acclaim worldwide and selling out in theaters across the United States, Shen Yun cannot perform in China because of Chinese Communist Party censorship and repression of artistic expression. Perhaps because he is a musician, Mr. Hernandez understands the power of art. Mr. Hernandez describes Shen Yun as the heart and soul of China. “It is something that [can] conquer tyranny and atrocities because this show shows that you can take music and lyrics, and natural art [and make it] into a weapon against evil. “You have more than an atomic bomb here because what you have here is divine spirit. 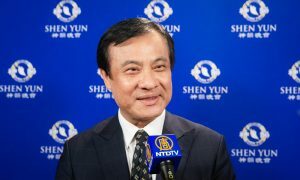 It would be the greatest thing if [Shen Yun] goes to China; the show must go on,” he said.